The cool nights and the hot dry days of the Andes mountains, give the grapes grown by San Esteban at 3,600 feet, a unique high altitude expression of elegance and complexity, characteristic of the Aconcagua Valley. 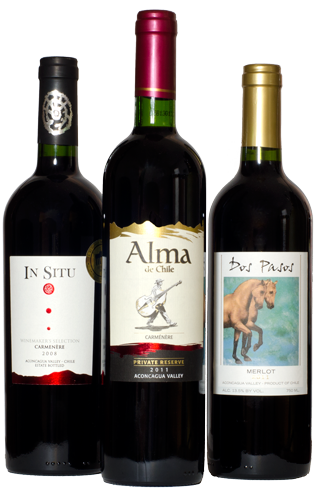 The 2013 Alma de Chile Collection will include six varieties, as well as four additional varieties in the Dos Pasos varietal line. In 2011, the In Situ Wine Makers Selection wines received accolades in Europe. The Cabernet Sauvignon received the gold medal at the Bruxelles Councourse and the Syrah the Gold Medal at Germany's Wine Fair. In the USA, the In Situ Laguna del Inca 2008 blend of Carmenere, Cabernet and Syrah received for a second year rating of 90 points plus from the prestigious Robert Parker Rating Service.